The Cook County Sheriff’s Office Says Its Gang Database Is on Lockdown, but Questions RemainMany welcomed the announcement that the sheriff took the database offline. But the office has resisted calls to destroy it immediately or publicly explain other details of its plans. 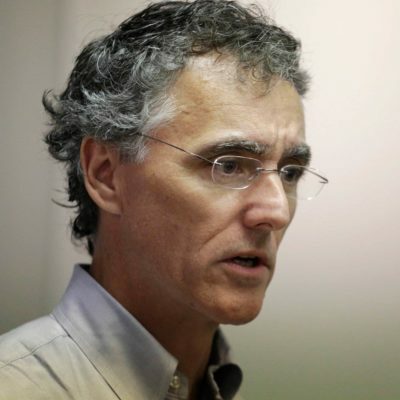 In January, aides to Cook County Sheriff Tom Dart began telling other county officials that their office was no longer using its gang database. Many welcomed the news. After all, the gang-affiliation data had been collected through an often subjective and error-prone process, with potentially devastating consequences, as I reported in July. More than 350 other government agencies had access to the database and could use it in investigations, despite its flaws. And people listed in the database had no way to object or to change the information. But weeks after Dart began touting his decision, the sheriff’s office has resisted calls to destroy the database immediately or publicly explain other details of its plans. Commissioners are still negotiating with Dart and his aides to hold public hearings and create a permanent ban on the gang database. Cara Smith, a top aide to Dart, said the sheriff’s office has been open and collaborative, and she blamed the stalemate over the database on Anaya and her supporters, who have rallied against the sheriff. Law enforcement agencies around the country maintain secret lists and databases that raise questions about civil rights and due process. The Chicago Police Department’s gang database was riddled with obvious errors and illogical entries when I first acquired a partial copy of it last year. It included dozens of alleged gang members who were in their 70s or 80s, for example, and 15 who were 118 or older. Last June, a group of men whose names were in the database sued the department, arguing the database was racially biased and full of mistakes, which had led to false arrests, lost job opportunities and deportation proceedings. The city has moved to dismiss the lawsuit and the matter remains in court. Sheriff’s officials argued their Regional Gang Information Database was different: They said it had safeguards in place to ensure records were verified and access restricted. But when the office released a copy in July, I found it was still marred by questionable information. Hundreds of individuals in the database were listed as dead, while others had no gang affiliation identified, though that was supposed to be the reason they were included. As with the Chicago police database, people in the sheriff’s database could not correct flawed information — yet 371 other government agencies could access it. A few weeks later, county Commissioner Jesus “Chuy” Garcia, who represented a district on Chicago’s Southwest Side, began meeting with sheriff’s officials to discuss the database. He also asked the county’s inspector general to audit the data. When Garcia left the board to take a seat in Congress, Anaya, his successor, continued the discussions. Smith said sheriff’s officials told Garcia and his aides from the beginning that they were planning to “terminate” the database. By December, sheriff’s officials began asking outside law enforcement agencies if they wanted to take it over. In letters to commissioners, the officials said the database wasn’t generating enough information to justify the resources they put into maintaining it. Anaya said she grew concerned the database might be moved to another agency before the sheriff’s office addressed her concerns. On Dec. 7, days after she was sworn in to the board, Anaya proposed an ordinance to get the sheriff’s office to slow down. It would require the sheriff to keep the database until the inspector general’s work is done and the county board holds a public hearing. In the meantime, the office would have to stop adding names to the database and notify everyone added to it in the last five years. The board’s 16 other commissioners signed on as co-sponsors, and the measure was assigned to the board’s Criminal Justice Committee. A committee meeting was scheduled for Jan. 23. The sheriff’s office moved ahead anyway. On Dec. 10, it notified the hundreds of other agencies with access to the database that unless one of them agreed to take it over, Dart’s office would take it offline. After receiving no “serious” offers, the sheriff’s office disabled the database on Jan. 15, according to Smith and other officials. An aide to Dart informed Anaya in a letter the next day. She said the sheriff’s office also argued that her ordinance needed to be changed because the database wasn’t in use and no one besides top sheriff’s aides could access it. But Anaya said she and some other commissioners still had questions. Among them: What would happen if Cook County got a new sheriff? How could sheriff’s officials be sure no one else had a copy of the data? Does Dart’s office maintain any other databases? “It seemed like the sheriff thought that this was no longer an issue by decommissioning” the database, Anaya said. She said she still wanted a public hearing. Commissioner Larry Suffredin said he advised Anaya to rework her ordinance to reflect Dart’s new promises. “If they’re willing to say, ‘We’re not going to use it,’ we need to put it into law,’” said Suffredin, a board veteran from north suburban Evanston. Negotiations continued in a meeting among sheriff’s officials, Anaya, Suffredin and Commissioner Stanley Moore, chair of the Criminal Justice Committee. Among other issues, they discussed if it was practical to notify people in the database, since other agencies had entered some of the names and it could expose the county to lawsuits. Still, the group kept working on a replacement ordinance that everyone could support. 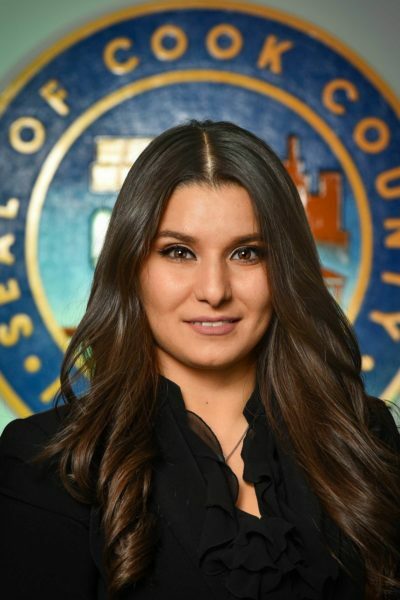 Suffredin and Anaya proposed two public hearings, one focused on how the database has been used, the other on what steps should be taken next. Dart’s aides agreed to participate. Suffredin said he expected to keep working on the ordinance with other commissioners at the Jan. 23 committee meeting.